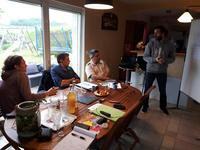 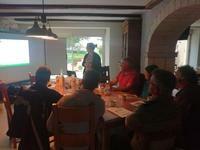 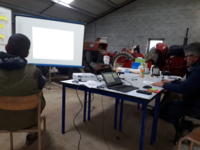 The workshops took place on the last week of April and the first week of May 2018 with farmers in the French Departments of Haute-Garonne and Tarn et Garonne in South West France. 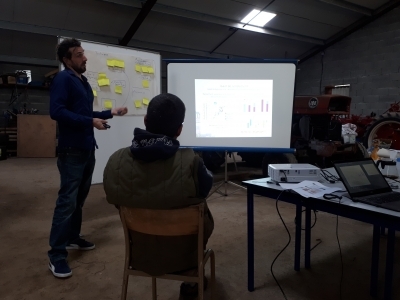 1) a presentation of intercropping research results about the topics chosen by the farmers (weed control, fertilisation reduction, yield improvement and yield stability…). 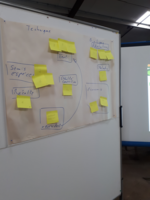 2) design of intercropping crop management with the farmers targeting the production of high quality soft wheat (>12% proteins) or the production of qualitative wheat and grain legume while minimizing workload.